Wild and Woolly (1917) - Slapstick | Bristol's Silent Comedy Festival. 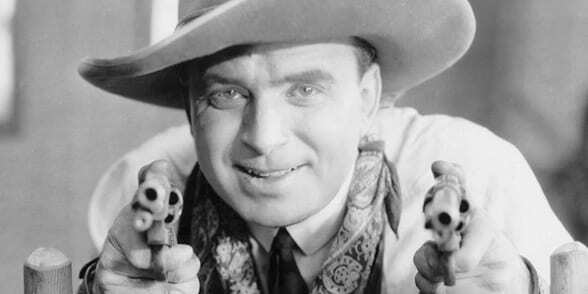 Starring the King of Hollywood, Douglas Fairbanks, Wild and Woolly is one of the best action packed comedy Westerns of the silent era. Jeff is a rich Easterner who always wanted to live in the “Wild West”. He finally gets the chance to move to a town out West, but unbeknown to him, the town’s “wild” days are long over. The townspeople are all after Jeff for his money, so they humour his taste for the “West” and in true Fairbanks style the films plays out some of the best stunts and funniest moments on film. Introduced by Lobster Film’s co-founder Serge Bromberg and accompanied live on piano by John Sweeney.